About the book - Prawia - nasze dziejotworzenie. The book encompasses the spiritual part of human life and the world of culture, which is constantly created by humankind. It presents authentic spirituality which is currently very much sought after and which has existed almost since human culture was created. In this secular version of spirituality we will find more of the sacrum than in any other religion which ceased to serve its believers. Prawia, the name of our theory, is the Slavic equivalent to the Greek Logos, i.e. thought and causative power of the world. In this context it stands for the forces of nature which enabled the creation of matter, with complex properties and structure, and afterwards to biological life and culture. In the environment of culture human awareness of the world develops, which ultimately leads humankind to the transformation of the cosmos into the Cosmos – a self-conscious, independent system, an individualistic organism acting as an entity. The reference to Slavic ideological roots is intentional. The concepts of Western culture as a general rule are characterised by metaphysics, and after it is rejected – by pseudoscientific illusion. Both versions take the foundations of culture away from reality. The theory of prawia culture was based on the assumption that the world is a system which encompasses everything and which is indivisible. Culture is not a subsystem of the world – it developed in the world, it structured it, it actively participates in its transformations and it is the world’s counterpart. In the cultural system we can distinguish subsystems of society and civilization and a great number of subsystems of the organism connected with individual people who represent a given culture. Spirituality in the theory of prawia culture is a sphere which includes everything which is a derivative of social human nature. Due to this the human world is broader and richer in terms of quality than in the case of its savage ancestors. This is a world of symbols, meanings and recognised values. This is a virtual world developing through human speech and language. Language capable of creating concepts enables distinguishing objects and relations between them, which through intellect and human work actually create the world. We define a myth which creates history as an individualistic creation of feelings about the subject of the essence of the world and the role of humankind. The contents of the myth result from experiencing the world, in a way a human perceives and experiences, i.e. the world with a structure being the reflection of the conceptual apparatus of the language, through which a human distinguishes individual aspects in the world. Thus it is a direct reflection of the cultural system reconstructed in the human psyche. The human influenced by the myth still remains as homo sapiens and becomes an element of a higher level structure – a cultural system encompassing the whole universe included in human consciousness, which as a result becomes the consciousness of the world. Currently this occurs to a relatively small extent but ultimately it will attain its greatest potential. Designing and planning a rationally unpredictable future in a form ensuring its conformity to the established values is provided by the vision of it begotten from a language metaphor, which is capable of crossing boundaries and errors of utmost rationality. Spirituality and myth are created and developed in the individuality and uniqueness of the human personality as a subsystem of culture. This is the foundation of the functioning of society and civilization as executives of the program for civilization based on a myth and defined in the mind. In the system of prawia society is not a gathering of people as biopsychic individuals, but a communication system created based on values. On the basis of social communication the civilizing of the world in the sense of its cultural development takes place. There also occurs the restraining of the phenomena and activities which oppose such development. In the next chapters of the main, third part of the book entitled “The myth which creates history. 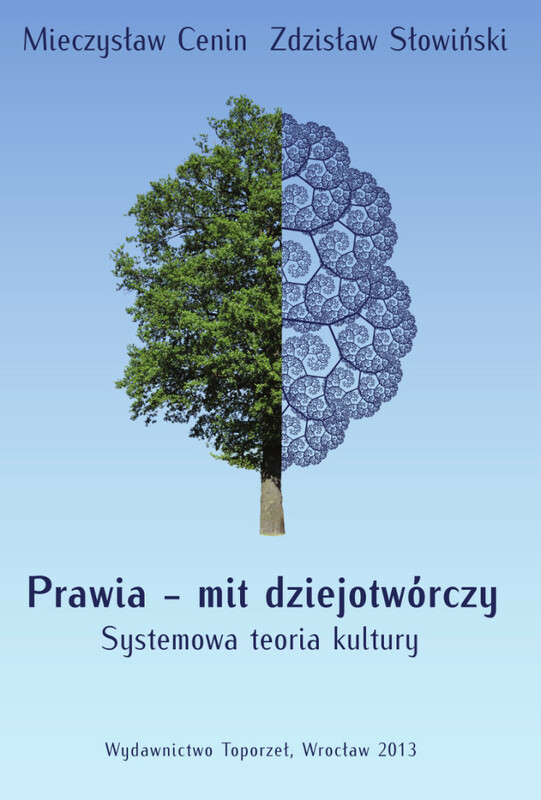 Life and transformations of the system of culture”, several similar issues are discussed and considered in detail. These were preceded by an analysis of the whole output of philosophy, psychology and sociology as sources of ideas coincident with the theses (assumptions) of prawia’s theory of the myth which creates history and useful for enriching it and providing continuity of discourse with previous knowledge. In this monograph the reader will find three more parts, which consist of several chapters. In the second part entitled “Systemic theory of culture” everything which was extensively described in the book is presented in a brief systemic depiction with a description of the applied methodology. This methodology enables the distinction between what is scientific and what is not and what supplements science, or even surpasses it. And prawia surpasses science, for instance, with transcendence. The initial, first part of the book entitled “Wounded culture” consists of two chapters: “The pathology of normality” and “Religion. Sublimity and breach of trust” constitutes a diagnosis of the current state of the system of culture and shows the sources and consequences of its progressive pathologization. In the last, fourth part entitled: “The culture of tomorrow” the authors present proposals concerning feasible comprehensive ways to heal the system of culture. The feasibility of the healing program is also connected with Slavic mentality and spirituality. In this part there is the fundamental, closing chapter with the telling title “Transformation”.